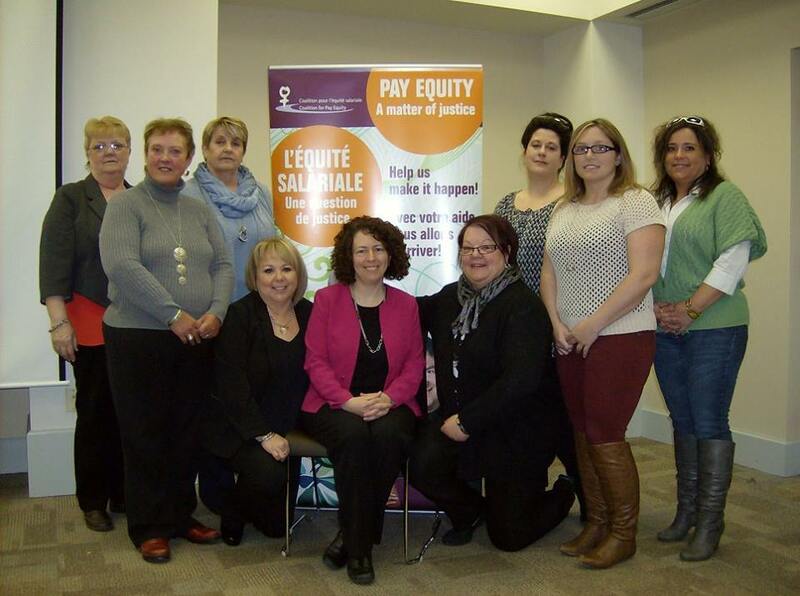 Currently, no pay equity law protects NB’s private sector employees. The only pay equity legislation in New Brunswick, which applies to public sector employees, remains to be truly put into action. The law is supposed to ensure equal pay for work of equal value, when compared to predominantly male jobs. “This law was passed under the Graham government in 2009. We are still waiting for the government to apply the legislation,” said CUPE Local 2745 President, Theresa McAllister. “Job evaluations were to be completed in April 2012, but to this day, we are still waiting for any wage adjustment,” she added. “Every worker, union or non-union, deserve pay equity. It is a question of human rights” said Odette Robichaud, Acting President of CUPE NB. “Educational assistants, home care workers, court stenographers, group home workers, and many more will directly benefit when the government will act to follow its own laws,” said Robichaud. “Female-dominated jobs should be respected and recognized for their true value. Pay equity is the first real step to achieve this,” concluded McAllister. CUPE local 2745 represents about 4000 people in female-dominated jobs: Educational Assistants, Student Attendants, School Administrative Assistants, School Library Workers, District Administrative Support, School Intervention Workers and Rehabilitation Assistants. Moncton - The New Brunswick Coalition for Pay Equity is calling on the provincial government to respect the Pay Equity Act, 2009, which came into force on April 1, 2010. After 6 years, only about half of the bargaining units representing unionized employees have completed the pay equity process and no information is available on the process in the Crown Corporations and for the non-unionized staff. “We call on the provincial government to take concrete actions to respect the Pay Equity Act, 2009. The government must complete pay equity evaluations and comparisons for all the public sectors and give out pay equity adjustments, without delay, when there is pay inequity. 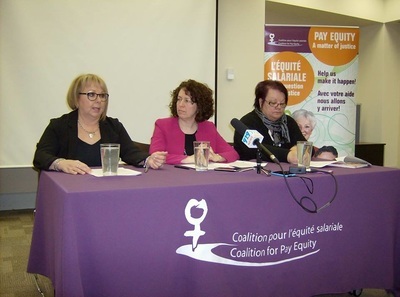 Every day without pay equity means another day that workers in female-dominated jobs do not have their human rights respected.” says Johanne Perron, Executive Director of the New Brunswick Coalition for Pay Equity. The Coalition for Pay Equity is also asking for the Pay Equity Bureau to take on a proactive role to ensure the full application of the Act and to prepare and make public a full interim report. 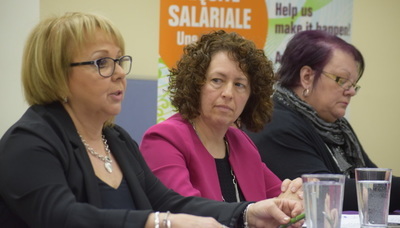 Marilyn MacCormack of the Canadian Union of Public Employees (CUPE) Local 2745, representing Educational Support Staff, continues: “Our Local completed the pay equity evaluations in September 2015 and we have yet to receive any adjustments. Our 4400 members across the province are providing an essential service to students in our educational system and yet, many are working below the poverty line. 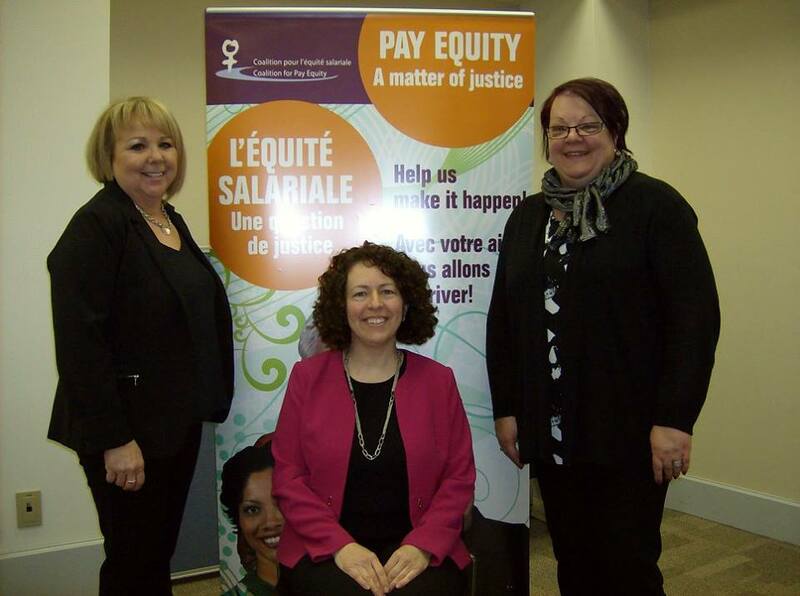 Pay Equity is a matter of fairness and of valuing the important work we provide on daily basis. This government must take the opportunity to show an example of closing the wage gap and promoting equality to our children who these employees work with every day”.